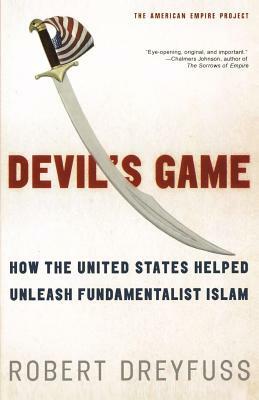 Devil's Game is the first comprehensive account of America's misguided efforts, stretching across decades, to dominate the strategically vital Middle East by courting and cultivating Islamic fundamentalism. Drawing on extensive archival research and interviews with dozens of policy makers and CIA, Pentagon, and foreign service officials, Robert Dreyfuss follows the trail of American collusion from support for the Muslim Brotherhood in 1950s Egypt, to links with Khomeini and Afghani jihadists, to longstanding ties between radical Islamists and the leading banks of the West. The result is as tragic as it is paradoxical: originally deployed as pawns to foil nationalism and communism, extremist mullahs and ayatollahs now dominate the landscape, thundering against freedom of thought, science, women's rights, secularism—and their former patron. Robert Dreyfuss, who covers national security for Rolling Stone, has written extensively on Iraq and the war on terrorism for The Nation, The American Prospect, and Mother Jones. He is the author of Devil's Game: How the United States Helped Unleash Fundamentalist Islam. A frequent contributor to NPR, MSNBC, CNBC, and many other broadcast outlets, he lives in Alexandria, Virginia.